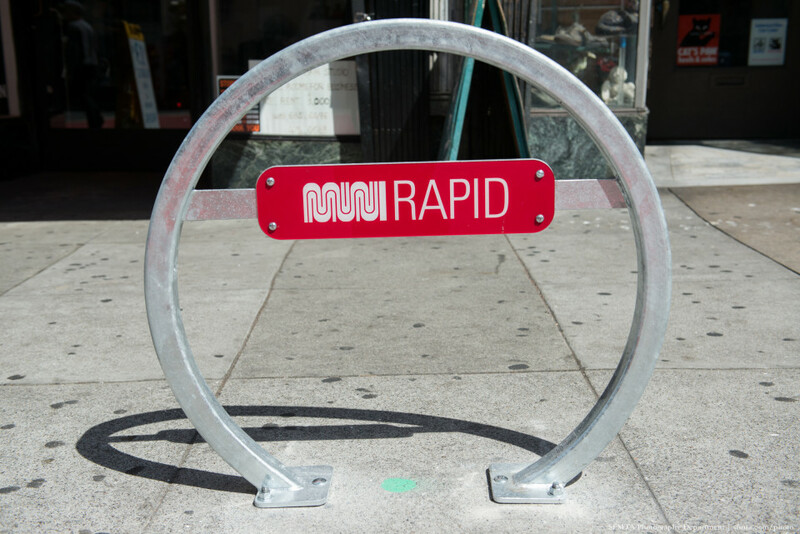 Bike parking can supplement transit ridership both in bustling urban corridors and at regional stops and stations, and can replace time- and space-consuming on-bus bicycle racks. 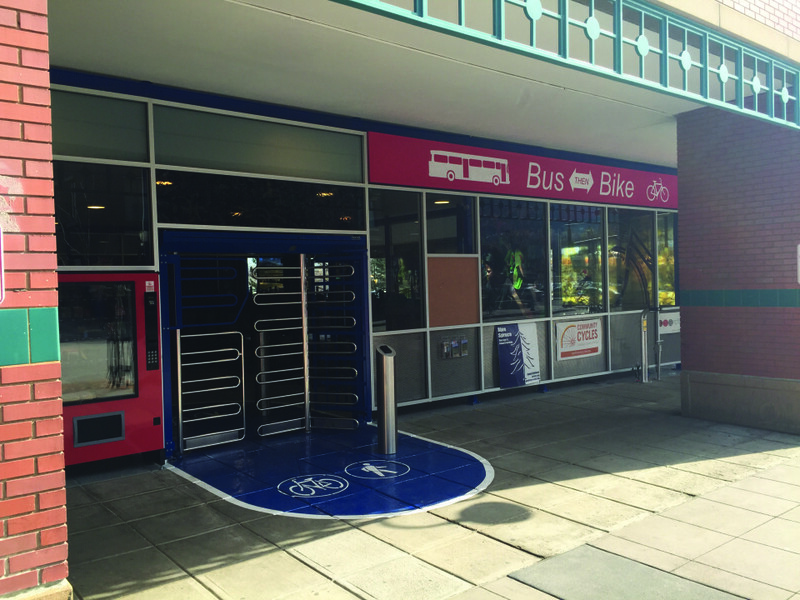 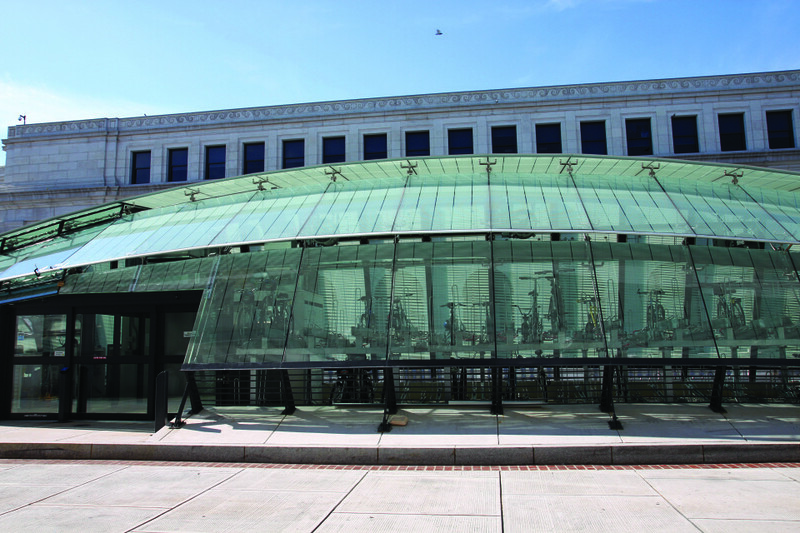 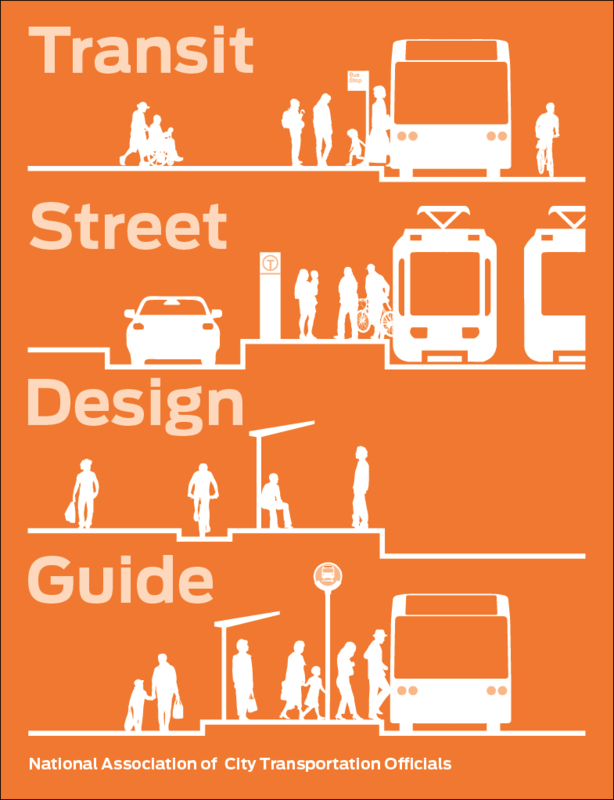 Bike parking elements can expand transit sheds, enhancing access to stop-adjacent destinations, and boosting intermodal connectivity. 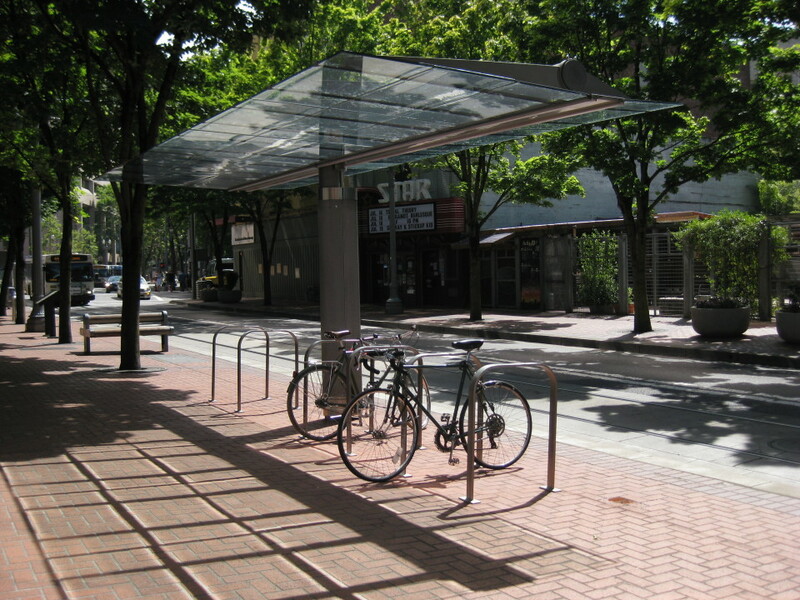 Provide a clear zone around bicycle parking to avoid impeding traffic, including near transit vehicle doors, on adjacent sidewalks, and through long-term storage facilities. 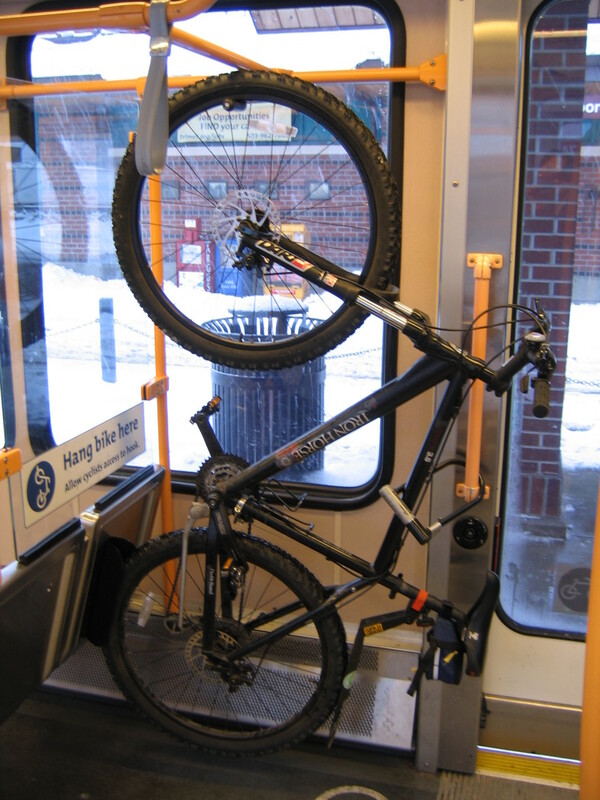 If multiple bicycle racks are installed, place them at least 3 feet apart to allow convenient, uncluttered access. 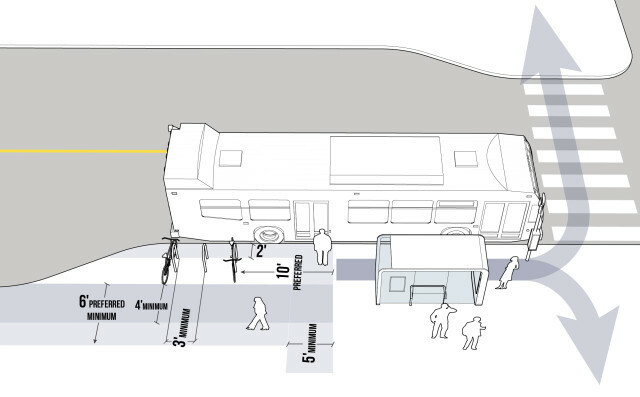 Locate parking in well-lit areas in full view of sidewalks and pedestrian paths. 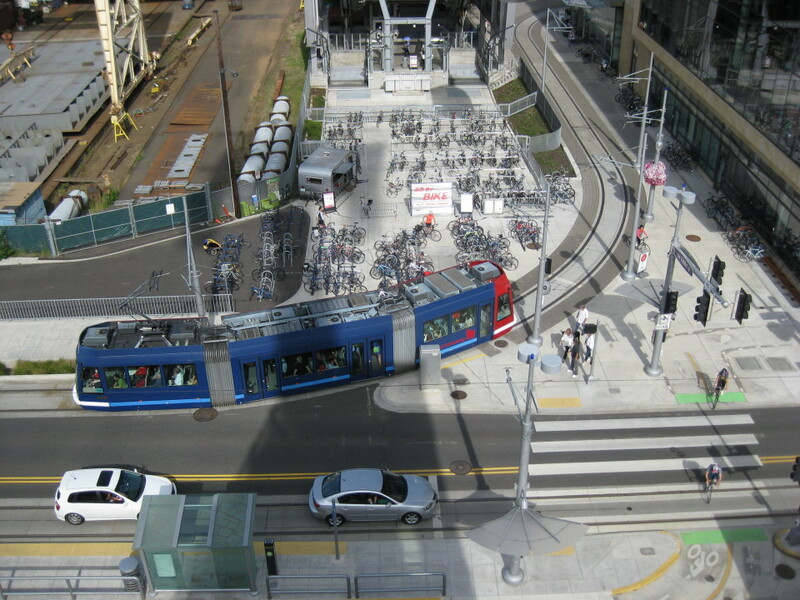 Short-term bike parking should be located within 50 feet of stop or station entrance, as well as major destinations. 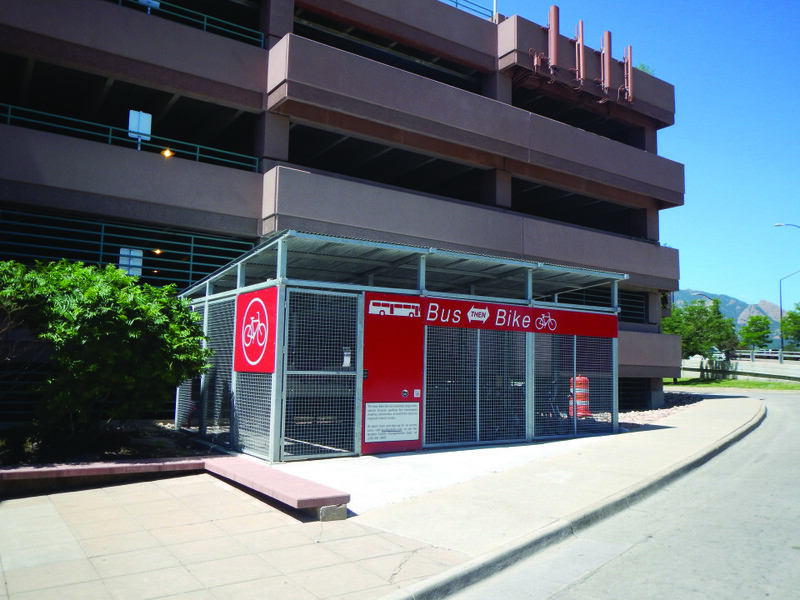 At feeders and terminals, long-term bicycle storage, including bike lockers or cages, provides enhanced security and protection from weather, enabling first- and last-mile trips. 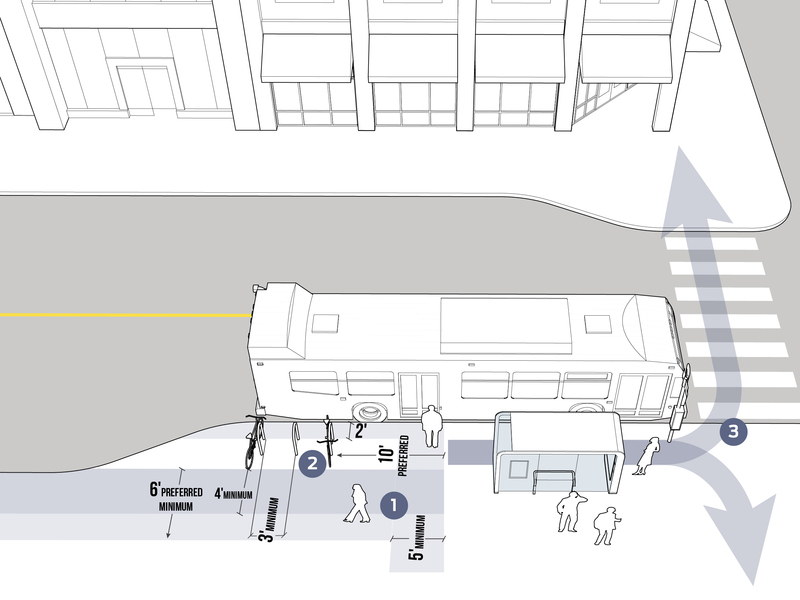 These facilities should be installed close to the entrances to major stations.